It’s hard to believe it’s nearly the end of the year! Where does the time go??? 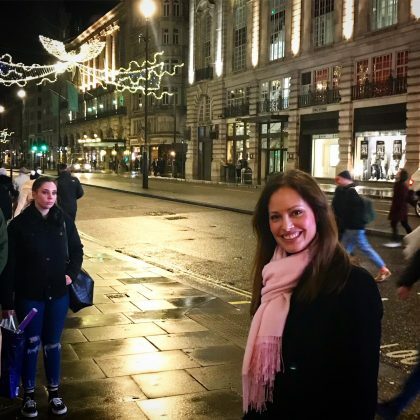 I haven’t updated my blog in a while because my entire fall seemed to get eaten up by a bunch of book deadlines – plus book and research trips to London (twice! ), Bavaria (in Germany) and Copenhagen, Denmark (twice!). AND I was redoing my writing room! The book deadlines were all for my new secret project (yup, the one I still can’t say ANYTHING about except that I’m SO EXCITED about it! )…but I kept to my schedule, handed in my manuscript on time (WHEW!) and have even gone through the first round of editing on the new book. There’s still another round of editing to go, but in the meantime I’m about to start on the next book. And once the new year kicks in I’ll finally be able to start sharing some news with you about my secret project! YAY! 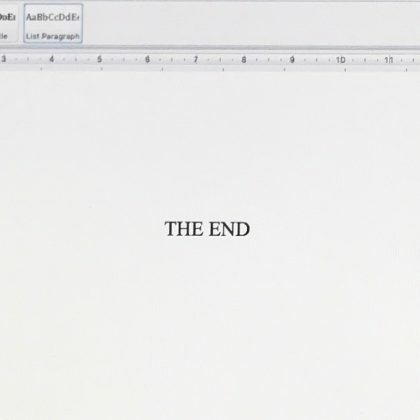 I think these are every author’s favourite two words to write – well, mine anyway. And I got to write them this fall! I’ve also been busy renovating my writing room and this has been SUCH A FUN PROJECT!!! 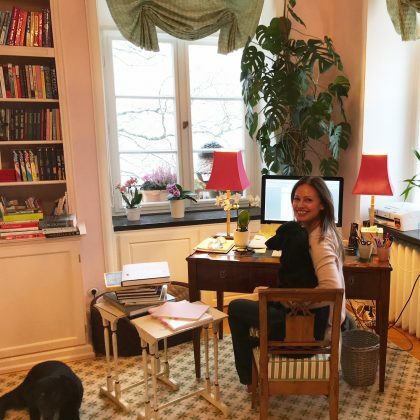 It’s also a bit stressful, if truth be told, because for a few months all of my writing and drawing stuff was packed up (with the obvious exception of my laptop) – exactly at the time I was writing my new book! And although I’m good about writing anywhere…still, my favourite place to write is my designated writing space. This is also why I haven’t been taking too many pictures of me writing/working, or shot any videos at all lately. It’s hard to take a pretty picture or make a nice video when the background isn’t looking right! But as of this week it finally looks on track – my writing chair and sofa finally came back from my upholsterer, all covered in beautiful new fabrics, and that has made a HUGE difference to the room! Stay tuned to my Instagram and Facebook feeds for some pics of my new pretty-in-pink writing paradise. 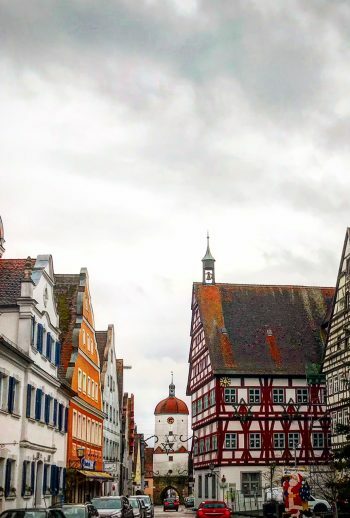 As for my work and research trips, scroll down to see some highlights of what I was up to on my last trips to London, Bavaria, and Copenhagen. Hint: this includes lots of research for my new secret project – and some really fun model Under Cover school visits! 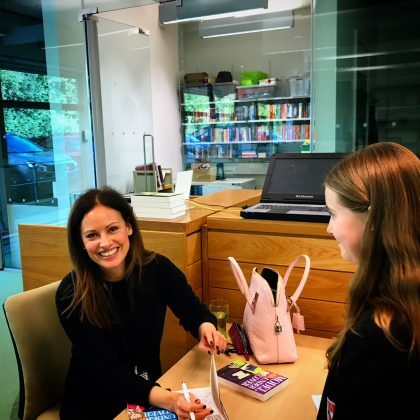 I had a blast visiting JFK School outside of London! 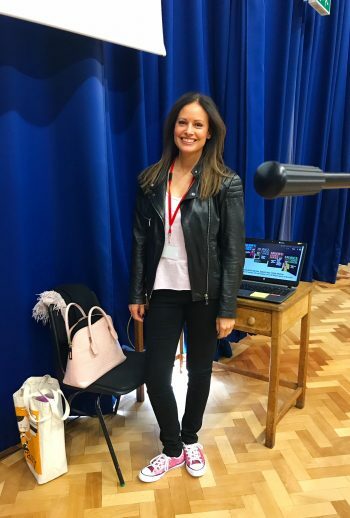 Feeling the fashion detective vibe at Presdale Girls School! 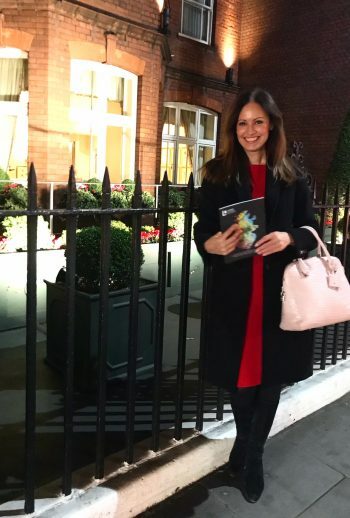 I fed my inner culture vulture with a night out at Sotheby’s Auction House. 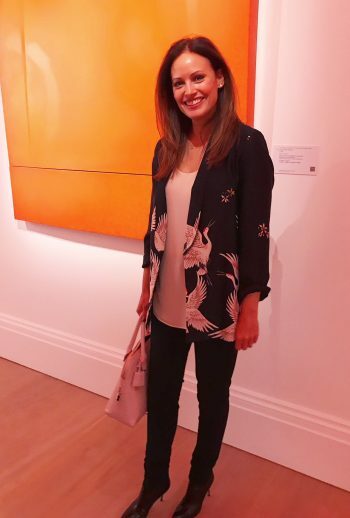 The orange artwork behind me is by Richard Prince (and dates from 1988-89). 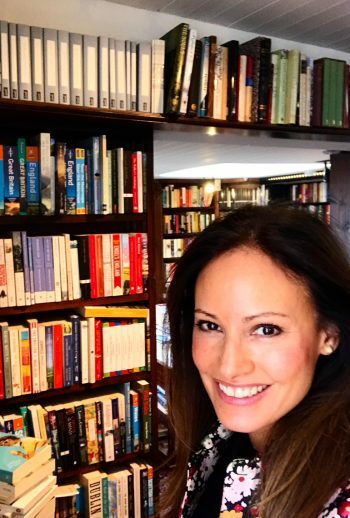 I stopped by one of my favourite independent Chelsea bookstores, John Sandoe, off King’s Road…and, yup, you bet I bought a ton of books there! Click on the pic to check out the John Sandoe website. I caught a Mozart concert, too, at Cadogan Hall in Chelsea. I’ve been a Mozart fan/nerd since the age of nine! 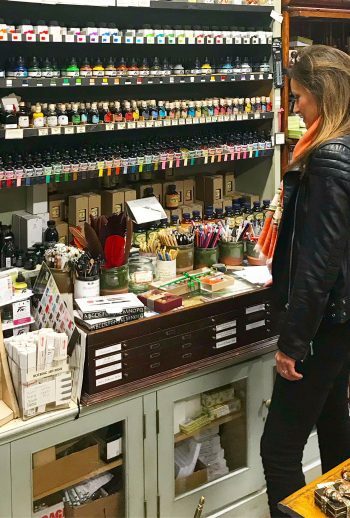 Choosing art supplies at my favourite London shop for doing just that: Green & Stone on King’s Road in Chelsea. Click on the pic to find out more about Tree & Stone! 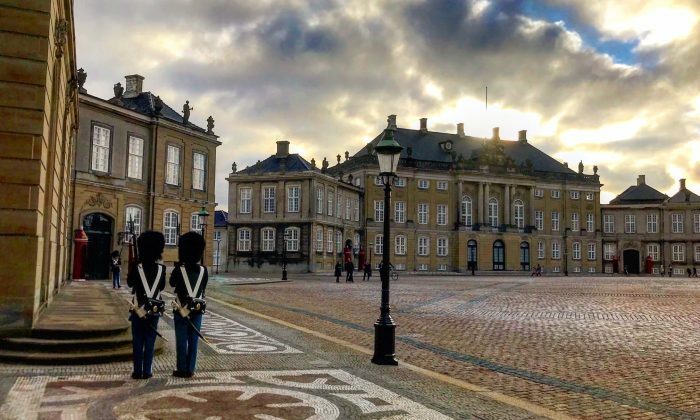 This is the The Queen of Denmark’s palace in Copenhagen. I was in Copenhagen to do some secret project research. But I won’t say more! 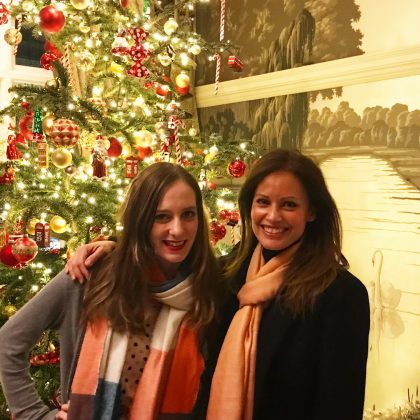 I was back in London last week – and had tea with my scones-and-tea bestie, the super talented YA writer Holly Bourne! We ate WAY TOO much. 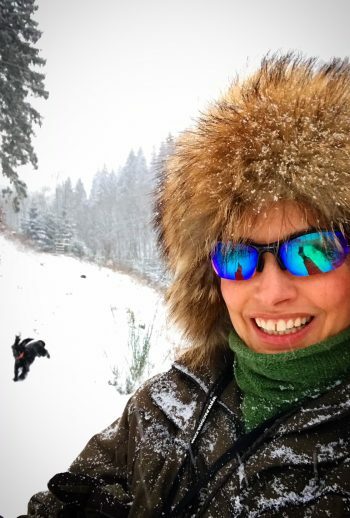 Click on the pic to check out Holly’s tumblr page! 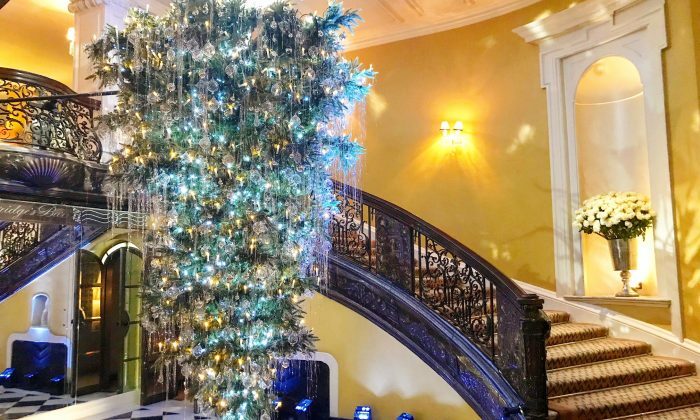 The Christmas tree at Claridge’s Hotel in London. Every year they ask a famous fashion designer to decorate their Christmas tree…and this year it was Karl Lagerfeld, designer at Chanel, who did it. And yes, his tree is hanging upside down! It looked amazing, though! Click on the pic to find out more about this tree. 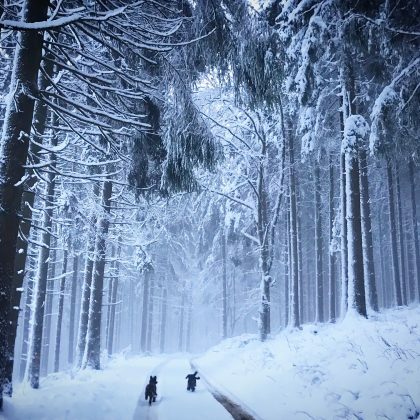 This pic was taken just after I stepped out of the cinema, after watching Paddington 2, which is the most ENCHANTING film ever. I LOVED it!!! For once a film does the book(s) it’s based on justice! 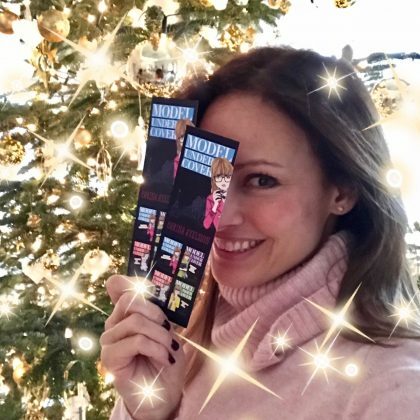 How CUTE are these MUC bookmarks!!! I’m holding a giveaway over Christmas so head over to my Instagram or Facebook pages to enter! I wish every single one of my lovely readers the very best of holidays!!! May your days be merry and filled with masses of love, excitement, and, of course, a ton of good books to read!!! (Including, I hope, a few of mine!) Thank you so much for all of your support throughout the year. Being an author can be lonely work, but receiving all your emails and Instagram and Facebook messages really always makes my day!